MASBATE CITY 02/16/17 (BICOL STANDARD) -- A 17-year-old girl from Cagay, this city was allegedly raped and killed last February 14. 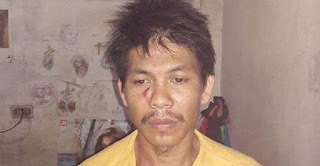 The suspect was identified as Amador Dalanon, a resident of the same barangay and the uncle of the victim, based on information. The girl went missing on February 14, but her lifeless body was only recovered earlier today in a muddy field. The investigators would not, however, provide additional details as the probe is still ongoing. The suspect is now detained at the Masbate City Police Station.